As if K-Mart's front-page ad wasn't enough to confirm, Sony's officially announced their PlayStation 3 Slim that retails for $100 less than the current PlayStation 3 fat, which is also getting a price cut. Update: We've got first impressions here. The slim will come with a 120GB drive, and will be 32% smaller and 36% lighter than the standard PlayStation 3, as well as using 34% less power. The $300 price will apply to all PlayStation 3s starting tomorrow. The Slim will be available everywhere by the first week of September. Here are some more details. 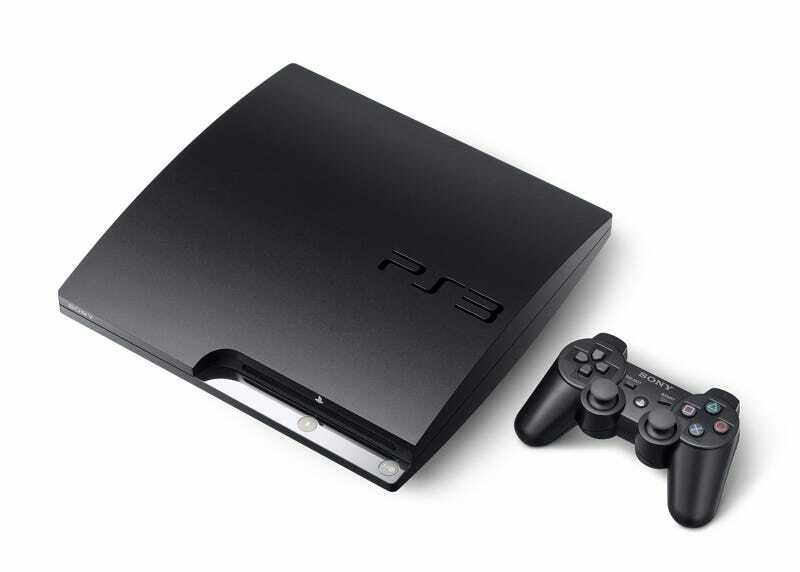 The 80GB PS3 (current model) will be discounted to $300, whereas the 160GB PS3 will be $400. There will be a new PS3 logo as well as modifications to the official name from PLAYSTATION 3 to PlayStation 3 as to not be shouting all the time. It'll also have a BRAVIA Sync feature that'll allow you to control the PS3's XMB with your Sony TV remote as long as they're connected via HDMI. And the TV will automatically turn off the PS3 when the TV goes off. There's also a vertical stand retailing for $24 on September 3. Whether or not you can stand it up vertically for long periods of time without the stand is unknown. Sony also says that they're eliminating the feature of installing other operating systems on the Slim, so no more Linux. Oh, and there will only be two USB ports.